Dining rooms take on many forms — from spacious rooms to nooks off the kitchen. No matter the size or style of the space, a dining room is meant to be a place to gather with family and friends for everyday meals and special occasions. Yet creating your perfect dining room can be intimidating. What color paint should I use? Do I want to sit 6 or 8? Should we get a wood seat on the chairs or upholstered? Do we want a chandelier or track lighting? How big of a rug do I need? 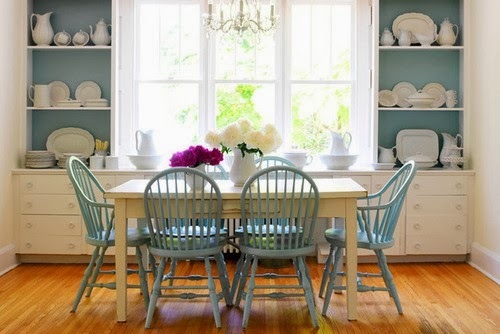 Learn how to design your perfect dining room with some of our decorating tips and inspiring ideas: about how to choose your dining room furniture, to set the mood at your dining table with the right lighting, and to get the correct sideboard or hutch to house your dinnerware, platters, or others that need storage. 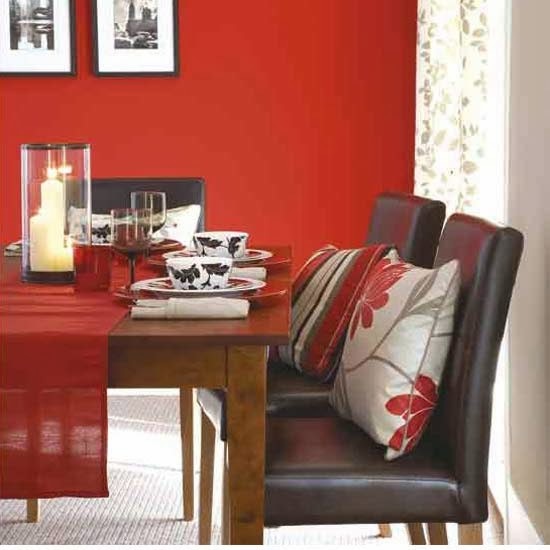 Ever wonder why red is such a popular color for restaurants and dining rooms? It’s because it stimulates the appetite. It’s also an energizing color and therefore a good backdrop for social situations – thus its status as a classic dining room color. However, choose the shade carefully – you want to create warmth rather than an oppressive, angry atmosphere. If your room is small or dark, use it subtly. It might be more effective to paint or paper one wall red, or hang a red-based painting. Other colors to get your mouth watering are orange and yellow. And neutrals always work well. Avoid pinks and purples as they have a sedative effect – not ideal for eating or entertaining. Blue doesn’t affect the appetite but is considered good for encouraging communication. It also gives a clean, classic look to a table, particularly when teamed with white. Whether you are designing a formal dining room, an informal dining area, or a kitchen, your table needs to be large enough to allow elbow room. Allow at least 2 feet per person as well as about 3 feet clearance behind to get up from the table. 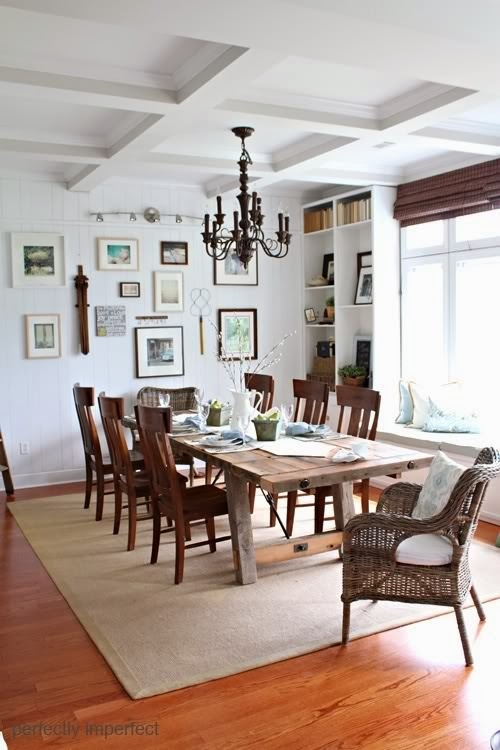 Leg Space: Dining tables have a leg at or near each corner, a center pedestal, multiple pedestals, or trestle. All of these are stable and common. You just don’t want the leg placement to interfere with comfortable seating. No one at Thanksgiving wants to straddle a table leg! Also, make sure there is adequate space between the apron (the skirtlike extension around the underside of the table) and your thighs. If you decide to use lower chairs because of the apron depth, check that the chairs are still high enough for you to reach your food! No one wants to feel like they need a booster seat in order to cut their steak or twirl spaghetti on their fork. Round: A 42-inch will sit 4 comfortably while a 48″ will seat 6. If you add 2 12″ leaves, you can add at least 2 more people at the table. Keep in mind that any round table above 54 inches will make conversation tough and passing food across the table extremely awkward. Square: Very similar to round except that you can’t have people sit on the corners. A 42-inch square seats 4 and a 54-inch will seat 8 comfortably. Breadboard leaves on this rustic farm-style table allows more room for seating or a place to serve the food. Rectangular/Oblong: A 36 x 60 seats 6 although a 42-inch depth makes sitting on the ends more comfortable. A 42 x 72 seats 8, a 42 x 84 seats 8, a 48 x 96 seats 8 to 10, and a 48 x 132 seats 12 people. Again, every 20 inches added by leaves will add 2 more people. Choosing the right chair for your table is not just a decision on style. If you tend to sit at the table long after dinner is over, you probably would want an upholstered seat and a good lumbar support for the lower back. If you are on the taller side, make sure that your seat back is higher. A normal seat height is around 18″, whereas a normal seat back is around 48″. If you have kids or are older, you may want to make sure that the chairs are not too heavy to move in and out. In general, the style and architecture of your house, apartment, or space will guide you to the type of style for your dining set. 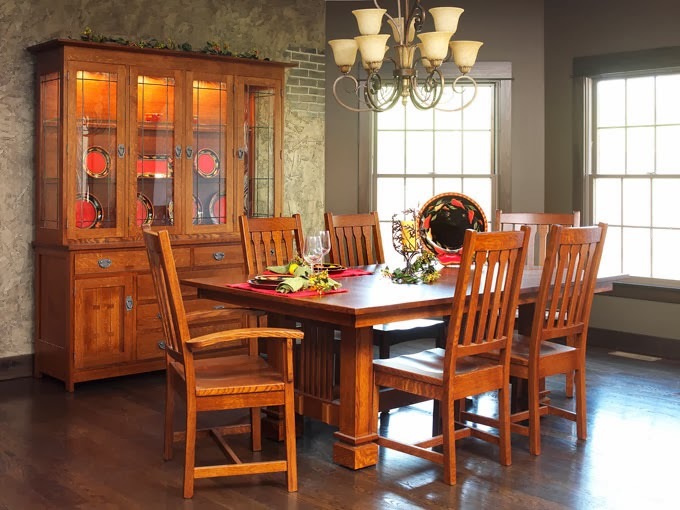 If you live in an old Victorian and want a formal dining room, you will probably want more carvings or turned legs and more intricate chairs. If you live in a loft, you may want a more industrial table and chairs. If you live in a Bungalow, you may decide a Mission style is best for you. Or maybe it’s a Mediterranean look, or a farmhouse feel, or French Country… the options out there are infinite. In any case, knowing the basics in dining types is a good beginning. Dining table legs are a subtle way to add continuity to the design of your home, and no dining table is ever complete without just the right set of legs. Though dining table legs may not be the first thing noticed by a person sitting to dine, they are indeed an integral part of the look and feel of the table. The table legs add the security and sturdiness required of a table that will last for generations. Though it may be a simple dining table today, years down the road the table built today could be a cherished family heirloom; transforming from merely furniture, into a heritage eagerly received from the generation that came before, a well-cared for treasure that connects the family now gathered around it to every family seated there in the past. 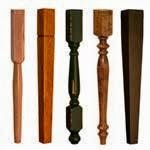 Tapered, Turned, Cabriole, and more. Wooden table legs are available in a myriad designs. Shaker style tapers, which bear the simple elegance of straight, smooth lines and few additional embellishments, are available tapering on two and four sides. More intricate and involved styles such as the Old World and Victorian are also available, with several tasteful variations on the English Country theme producing an assortment of distinguished styles within the same theme. Single pedestal tables are more compact so are perfect for smaller eating areas of the home. We have several different companies that build amazing pedestal tables with numerous styles, Valley View being one of our favorites. Double pedestal or trestle tables are made to provide a large table surface for optimal seating and are usually made so that one person can easily open the table to add or remove leaves. Dining room chairs might be a more important buying decision than you think. Uncomfortable chairs can discourage lingering at the table after you’ve enjoyed a lovingly prepared meal. Unaesthetic chairs can diminish your appetite for a festive dinner. 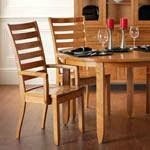 Choose new chairs for your dining room table with care. Consider the wood, as well as the colors before making your decision. Choose a dining room chair that matches your personal style, as well as the decor of your home. There are many different styles of dining room chairs, from intricate and fancy to plain and simple. They can be upholstered or wooden, have arms or be arm-free. The long list of chair types is almost overwhelming: parsons, Victorian, ladderback, Shaker, slatback, slipcovered, benches, leather, mid-century, Windsor, the list keeps going on. A modern take on Shaker chair. From bookshelves and floating shelves to buffets and baskets, you will need to decide what works best with the size and style of your space. 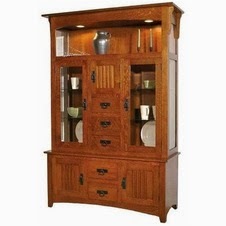 You may want to display an heirloom china set in a gorgeous china cabinet. Or maybe you want to hide mismatched sets in a buffet. Or maybe you want a storage bench under the window to put the kids stuff in. 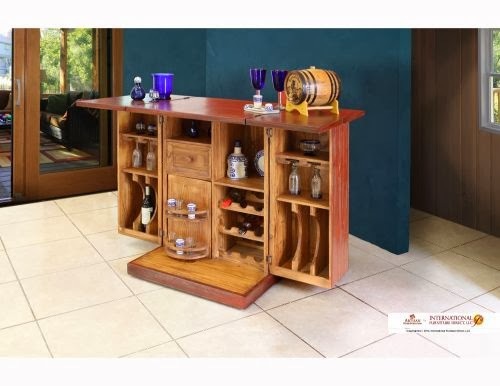 Or maybe you need to house your 30 bottles of wine. In any case, you need to decide what functionality you want out of your storage piece first, then look at all your design options. Have a small space? Use a small yet expandable bar! A great way to add color and to make a dining room more cozy, especially when you have hardwood floors, is to add a rug to the room. You want to make sure that the rug is at least 2 feet bigger all the way around the dining table so that all 4 chair legs are even. Also, try and stay away from rugs with a longer pile or is “stringy”… any food that falls will be hard to vacuum up! Speaking practically, if a dining room has hardwood floors, a run under the seating area will help protect the wood from the constant movement of dining chairs. Even with felt pads on the chair legs, the finish will become scuffed and eventually bread down from the wear. 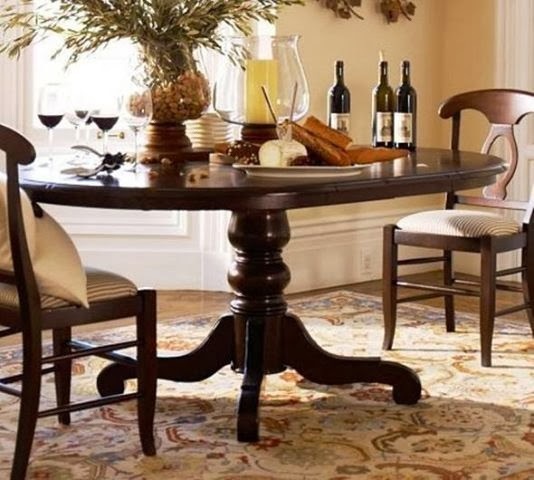 If a dining room has wall to wall carpet, an area rug can help protect that investment from stains and wear as well; it’s a great deal easier to replace a rug than to refinish a hardwood floor or rip up wall-to-wall carpeting. 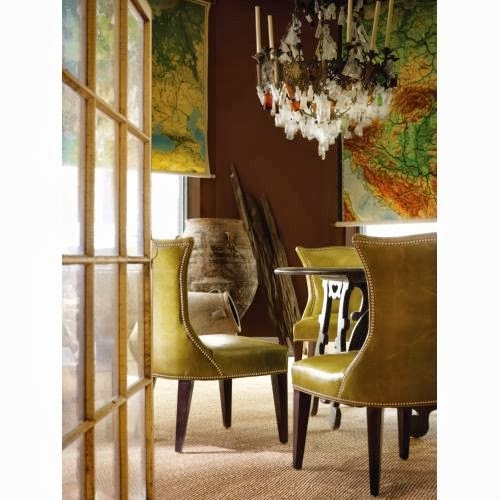 From an aesthetic view, an area rug is a wonderful way to anchor the seating area. If the dining room furniture is the centerpiece of the room, an area rug can act as a frame that pulls the eye in towards those pieces. 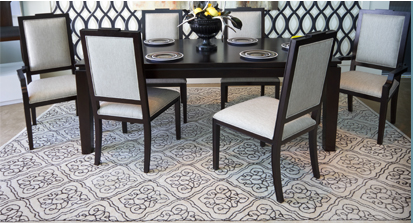 Choosing a neutral rug with a border will help feature the dining furniture to best advantage. On the other hand, while a bold pattern can distract from the furnishings themselves, oftentimes, an eye-catching pattern can help give a sense of vitality to the room overall and become an excellent foundation for stunning decorating options. 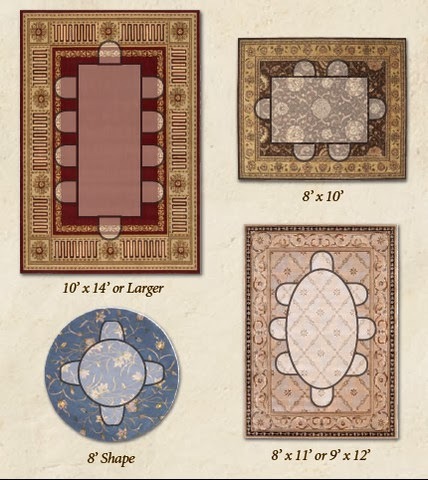 Bring a room together with a gorgeous rug. Serve guests stylishly in the dining room when you buy elegant light fixtures to eat by. Whether you want wall lighting fixtures to create a subtle glow on special occasions or hanging light fixtures for a fancier look, the following suggestions will help you find the perfect lighting options for your home. Read on to learn about the best light fixtures for your dining room. Create the perfect mood in your dining area with the right lighting. 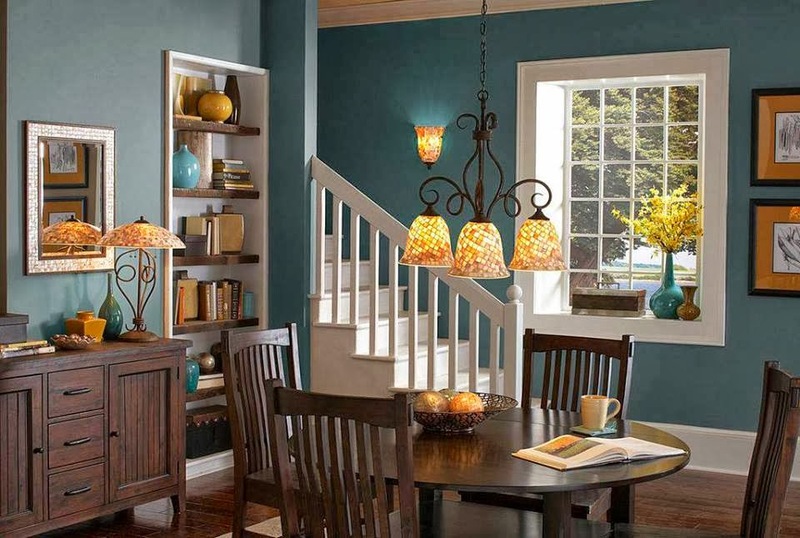 Pick hanging light fixtures for an elegant look. You don’t have to choose a glass chandelier to give your dining room a formal appearance; many hanging light fixtures are much less fragile and can add a unique touch to the room. Look for pendants and chandeliers that feature crystals and chrome accents to make a statement or buy contemporary light fixtures with drum-shaped pendants and geometric patterns for a fresh, minimalist vibe. Hanging home light fixtures can save you space, too, especially if you choose styles with small pendants that you can hang close together. Make sure to mount these hanging home light fixtures directly over your dining room table so you and your guests can see your plates clearly. Who said you needed an old-fashioned chandelier? 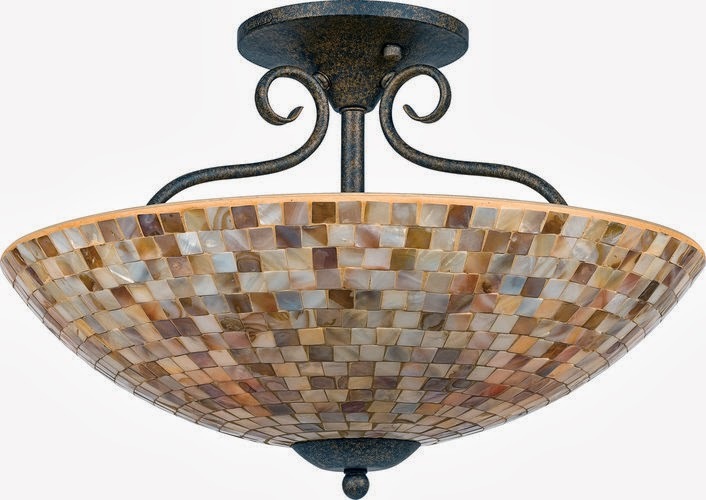 Buy wall lighting fixtures for a classic style. If you want to light your dining room in a traditional way, consider buying wall lighting fixtures. Often called wall sconces, these dining room light fixtures mount on the wall and can feature mini lamps with shades, glass-paneled lanterns and even tea lights or pillar candles. Consider the amount of light you would like before purchasing the dining room light fixtures. Wall sconces and fixtures that feature two or more lamps provide plenty of illumination, while styles with just one light or several candles give you a subtle glow. These popular dining room lights can extend more than 6 inches into your dining area, so you’ll want to make sure you have enough walking room around the table before mounting any wall sconces. 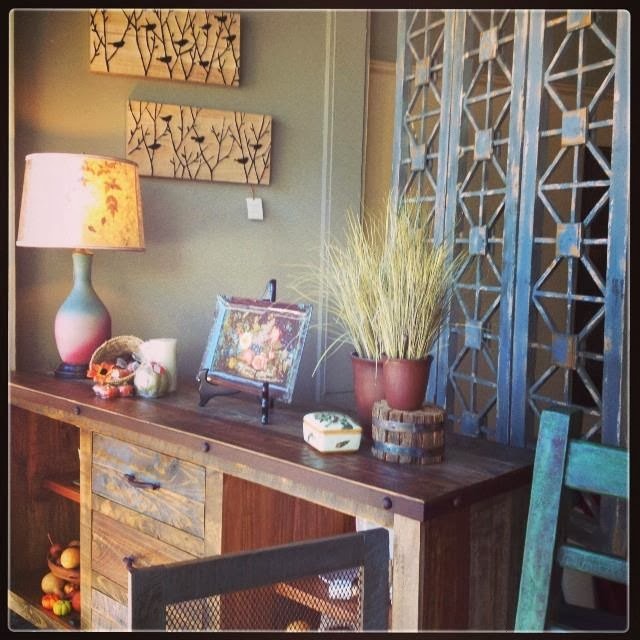 Add sconces to your walls for more ambiance. Choose ceiling light fixtures for simplicity. When you don’t want to fuss with chandeliers or sconces, ceiling light fixtures are your best choice. 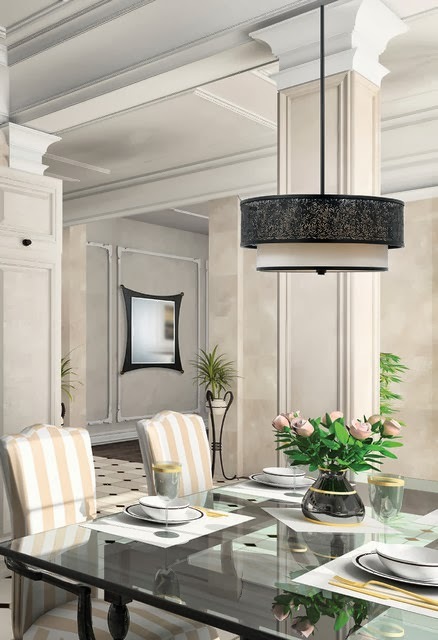 Look for dining room lights with frosted glass domes and wooden accents for a traditional look or contemporary light fixtures that feature clear glass and chrome for a modern design. Ceiling light fixtures look great in small dining rooms because they make the area seem larger than it is. After all of these are done, you should find yourself, your family, and your guests in one great dining room. And if you still need help, visit our showroom and meet one of our designers to get more information.